Are you wanting to change or refresh your smile? Unhappy with the condition of your teeth? Well, thanks to cosmetic dentistry you don’t have to be anymore! Porcelain crowns and veneers are designed to blend in seamlessly in the mouth and give you a perfect smile. There are some differences between to the two, so your dentist can help you to decide the best option for your smile. Veneers are made of porcelain or composite resin. They are small facings that are bonded to the front of the teeth. Veneers are extremely thin, between 0.3mm and 0.5mm and are often used as an alternative to crowns on the anterior teeth. Because they are so thin, veneers require less of the natural tooth to be removed during preparation compared to crowns. Veneers are durable and strong making them a popular treatment for creating a beautiful, flawless smile. Crowns can also be used for purely cosmetic reasons, to brighten and improve the overall appearance of your smile. Crowns can be made from a few different materials, the most common being- tooth coloured ceramic or porcelain fused to metal. The material that is best for each patient depends on the reason for placing the crown, where the crown will be positioned in the mouth and if the crown is visible when you speak or smile. 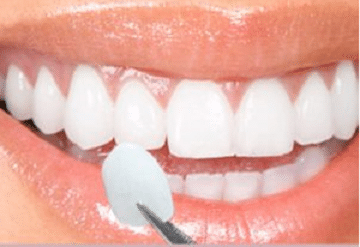 Although there are a few similarities and difference between veneers and crowns, they are both designed to restore the appearance and function of your teeth. Your dentist can help you decided the best option for your mouth based on your expectations and the structure of the teeth in question. Whether you are dealing with tooth decay or damage, crooked teeth, gaps in your teeth or deep stains your local family dentistry Pimpama team will have the solution for you.